MELBOURNE, Fla. – Each and every day, first responders put their lives on the line to protect the public, no matter if it is a routine traffic stop or an emergency situation. It is vital their radio equipment is working properly providing clear and reliable communication when they need it. Approximately 15 to 20 percent of radios can drift out of alignment each year, causing them to fail at any time. Many public safety agencies have anywhere from 2,000 to 10,000 radios or more, on their land mobile radio (LMR) networks. Technicians don’t know which radios are fine and which need to be aligned – without bringing them all in for testing, which can cost an agency hundreds of thousands of dollars annually. LocusUSA’s patented DiagnostX technology can eliminate those added expenses. DiagnostX is a long-range over-the-air (OTA) radio waveform analyzer. It measures the alignment and field performance of portable and mobile radios as they’re deployed in the field through a 24/7, real-time network. The unit indicates when a radio needs to be brought in for service. This unique technology is non-intrusive to a radio system and can be networked to provide system-wide coverage. Chris Pandolfi, the communications specialist for the city of Tallahassee, Florida, agreed. “The unit saved us 250 man hours in the very first week,” Pandolfi said. Cost-cutting isn’t the only benefit derived from DiagnostX. The ability to determine whether communication problems are specifically due to a faulty radio or a problem on the network means fewer issues between users and dispatch. This is a huge advantage for agencies that are located in rural or mountainous areas, where coverage can be spotty. For more information about DiagnostX by LocusUSA, visit www.locususa.com or sales@locususa.com. LocusUSA is an engineering and software development company located in Melbourne on the Space Coast of Florida since 2001. It is a leader in the area of RF capture for location and analysis. 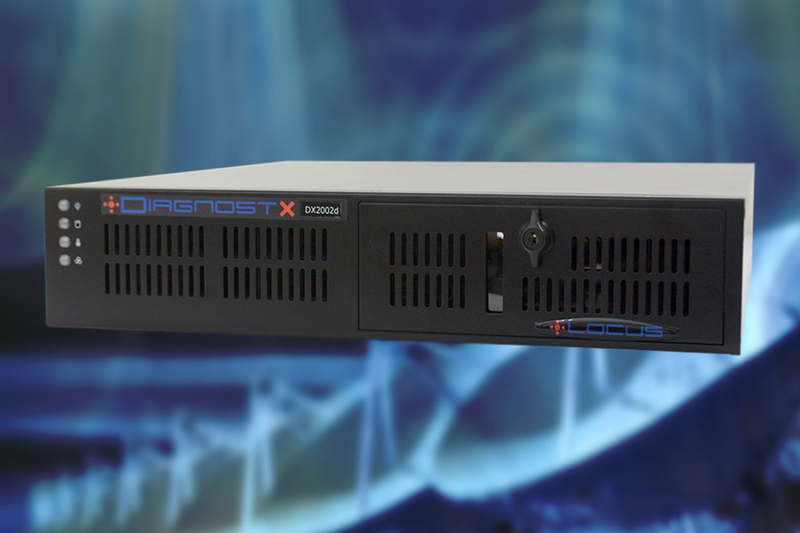 The ability to capture and analyze the characteristics of the radio waveform led to the development of DiagnostX, a patented system that can ascertain the alignment and other key metrics of a radio, over-the-air in real-time, all the time.